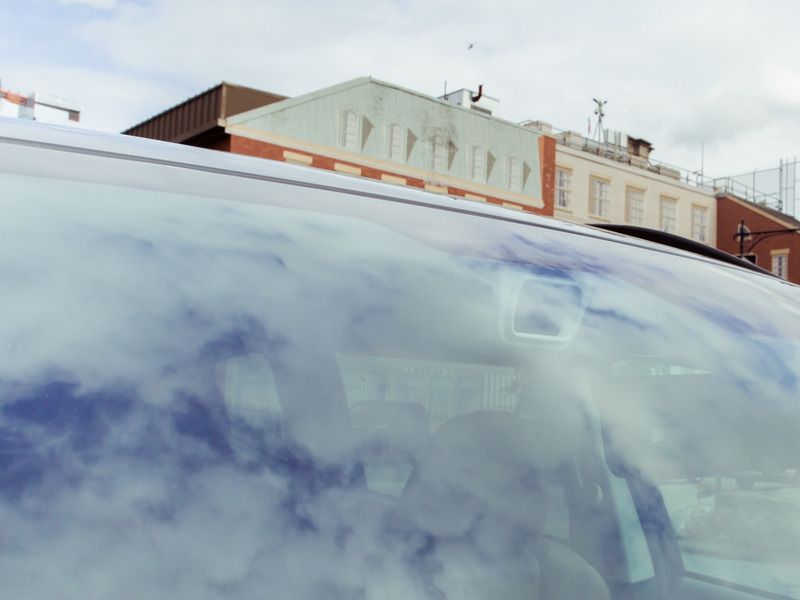 Business Insider/Jessica TylerOur 2019 Subaru Ascent Touring test car. 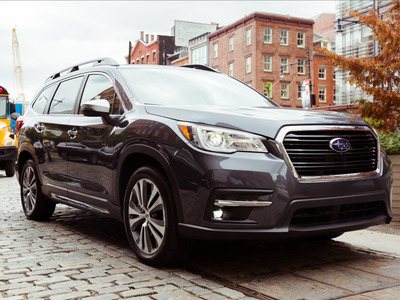 The 2019 Subaru Ascent is one of the newest contenders in the mid-size family SUV market. Recently, Business Insider spent a week with a new Subaru Ascent Touring in Magnetite Grey Metallic. 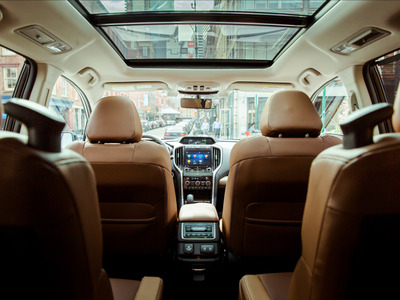 The Ascent impressed up with its well-designed cabin, peppy driving dynamics, strong infotainment, and a solid suite of standard safety features. In 2018, more than 2.5 million new mid-size crossovers and SUVs rolled out of American dealerships accounting for 14.7% of US auto sales for the year. Subaru’s Outback off-road wagon has long been a big seller in the segment. 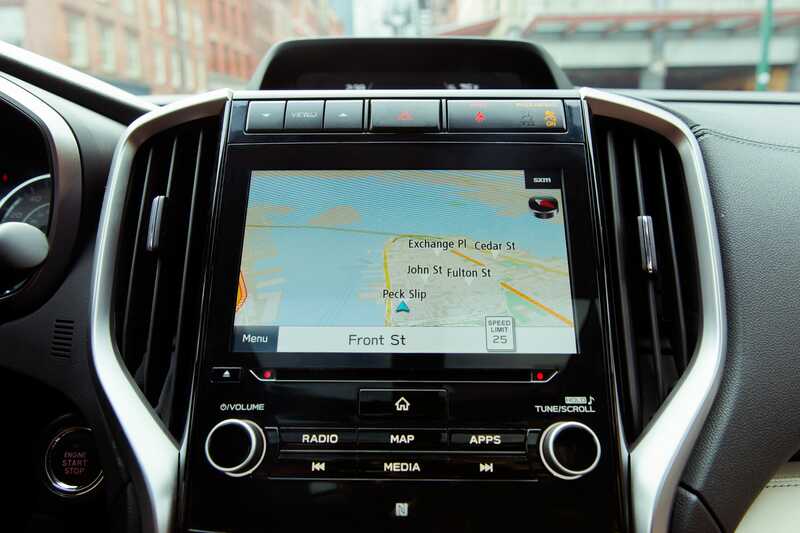 But it has been years since the brand had a true three-row family SUV to take on the likes of the Ford Explorer, Toyota Highlander, and Honda Pilot. Subaru tried to crack the mid-size SUV market in 2005 with the B9 Tribeca. The Tribeca’s odd styling, diminutive size, and tepid performance prevented it from gaining traction in the market. 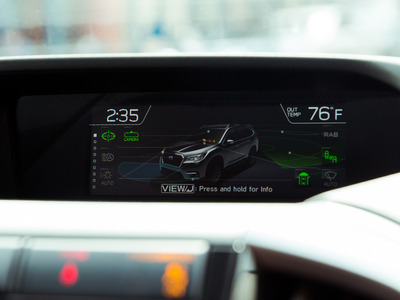 Even a 2008 facelift and the addition of a more powerful engine couldn’t save the Tribeca, which soldiered on for nearly a decade before Subaru pulled the plug on the SUV in 2014. 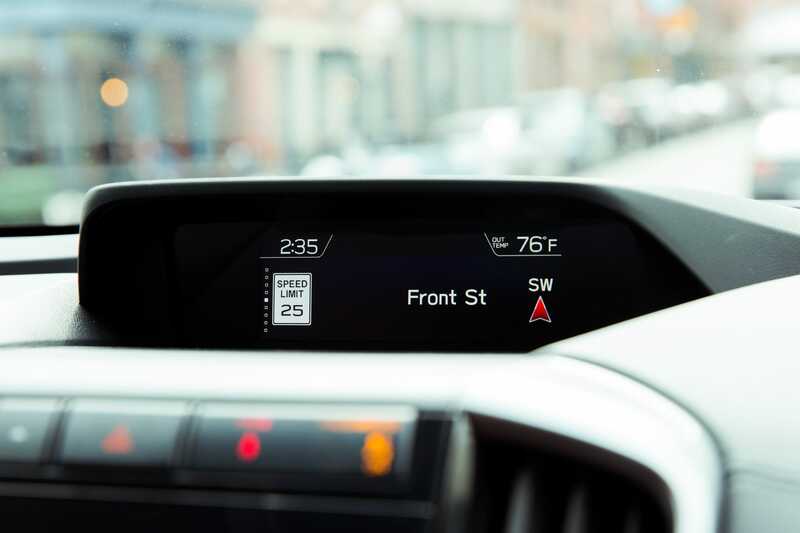 For 2019, Subie is back with the all-new Indiana-built Ascent. The Ascent will slot in above the Outback wagon in Subaru’s lineup and will be its most expensive offering. Read more: We drove a $US46,000 Subaru Ascent SUV to see if it’s ready to challenge Honda, Toyota, and Ford – here’s the verdict. 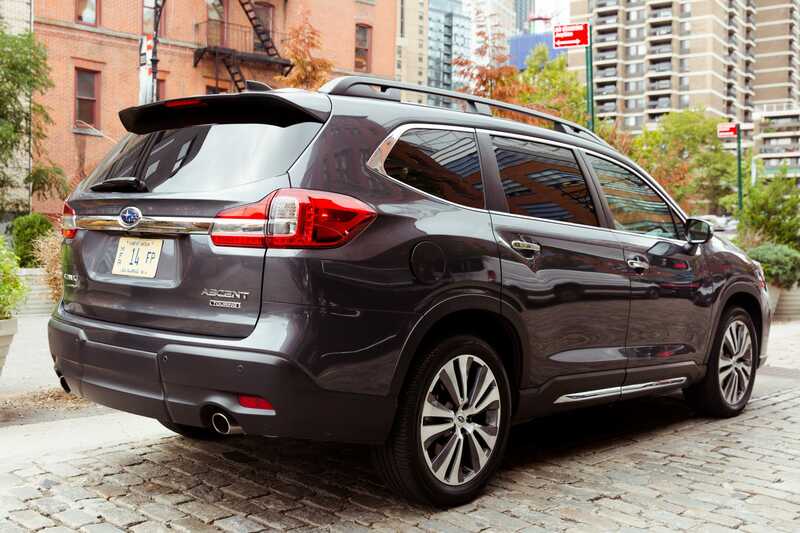 The Subaru Ascent is available with an impressive array of standard and optional tech, safety, and luxury features. 1. 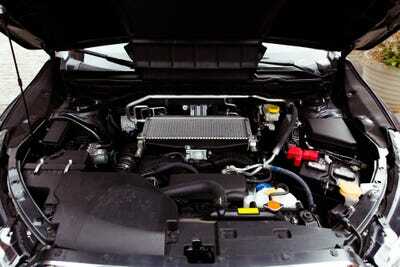 All versions of the Ascent are powered by a brand new 2.4-litre turbocharged, flat-four-cylinder engine. 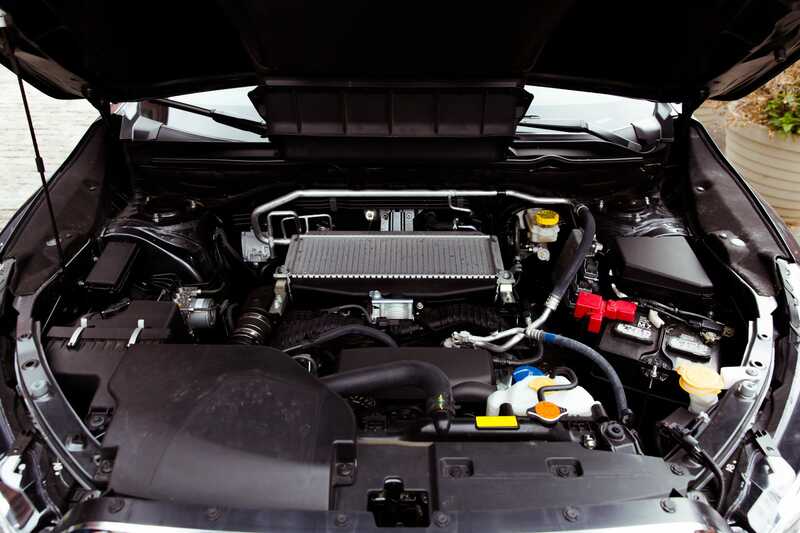 The motor produces a stout 260 horsepower and 277 pound-feet of torque. The new engine felt strong and robust with a solid punch off the line. 2. A well-designed interior. 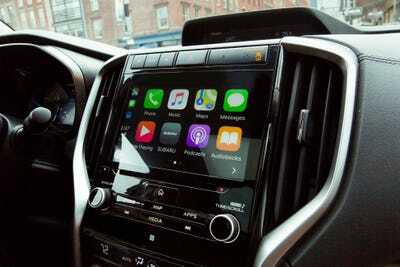 The cabin is traditional Subaru — very conservative but effective and easy to use. 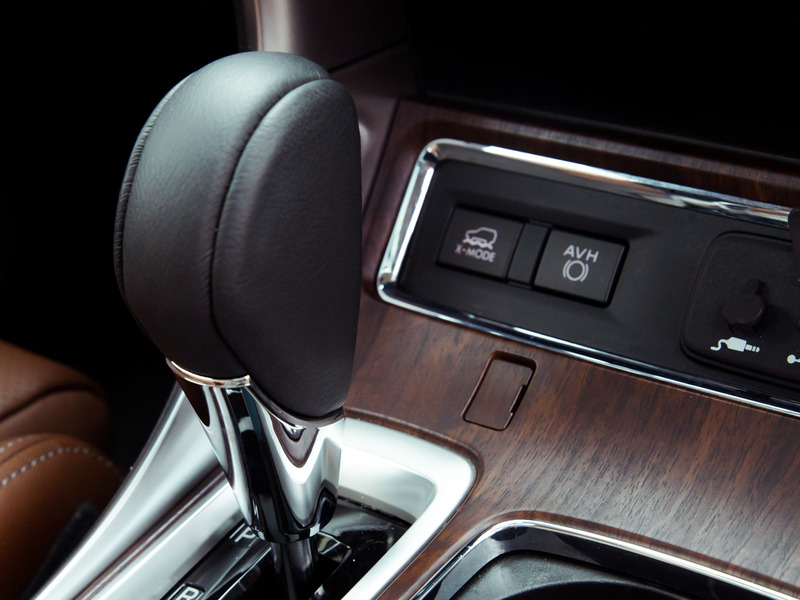 Ergonomics are terrific, with no oddly placed buttons or knobs to report. The interior feels solidly put together with good-quality materials. 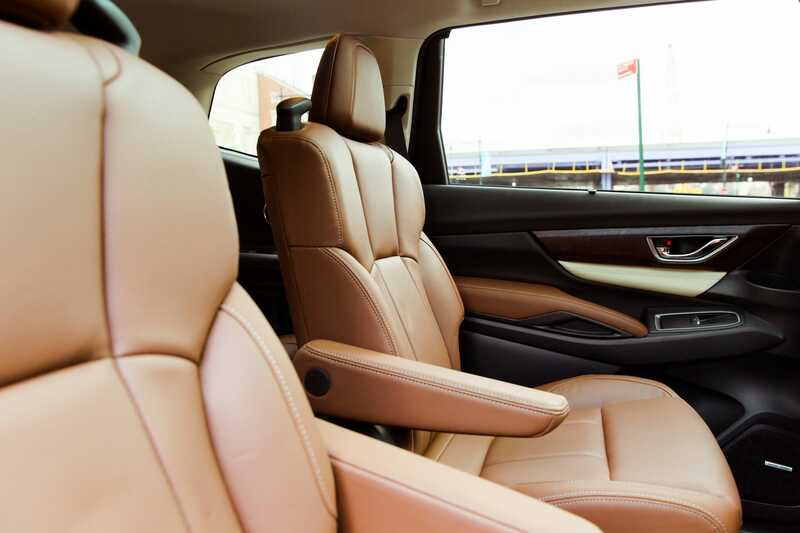 The leather upholstery is soft to the touch, and the plastics look and feel robust. 3. The Subaru Ascent can be configured to hold up to eight people. Our Touring test car came with the optional second-row captain’s chairs. 4. 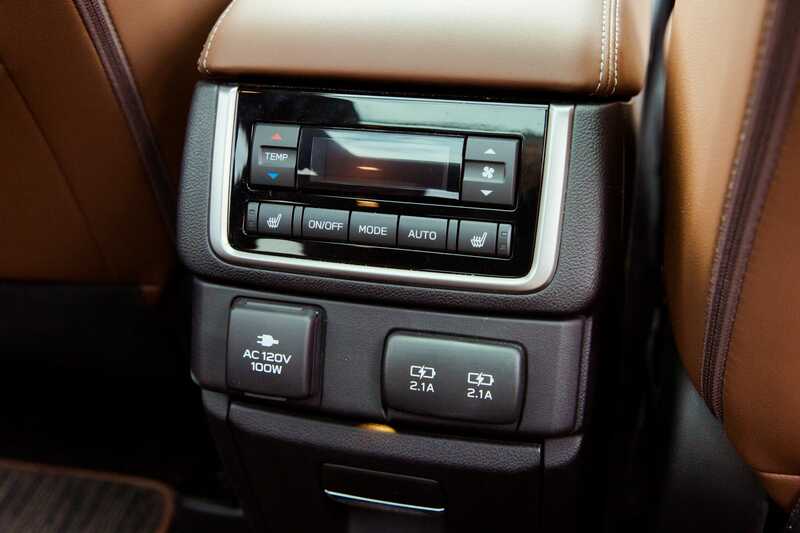 Rear cabin climate controls, heated seats, and power plugs. 5. 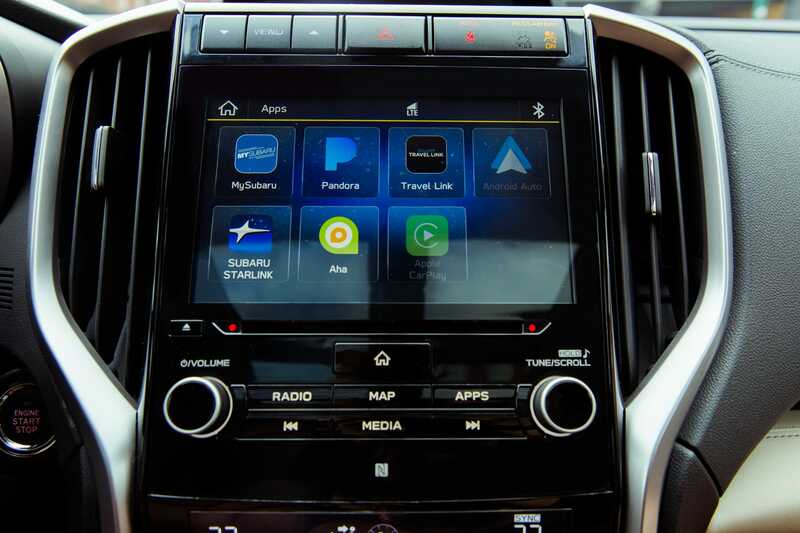 Our test car came with an optional 8-inch high-definition touchscreen running the latest variant of Subaru’s Starlink infotainment system. 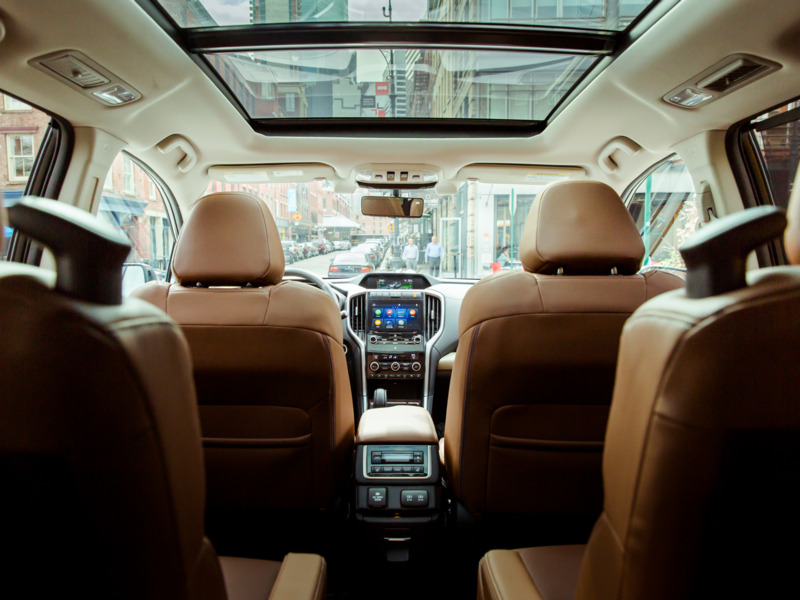 The Ascent comes standard with a 6.5-inch unit. 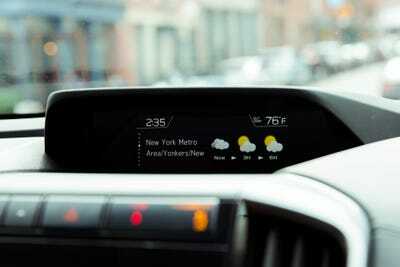 Subaru’s Starlink system is simple and intuitive. It features a solid array of app content as well as 4G LTE Wi-Fi hotspot capability, and built-in navigation. 7. There’s a front-facing camera. 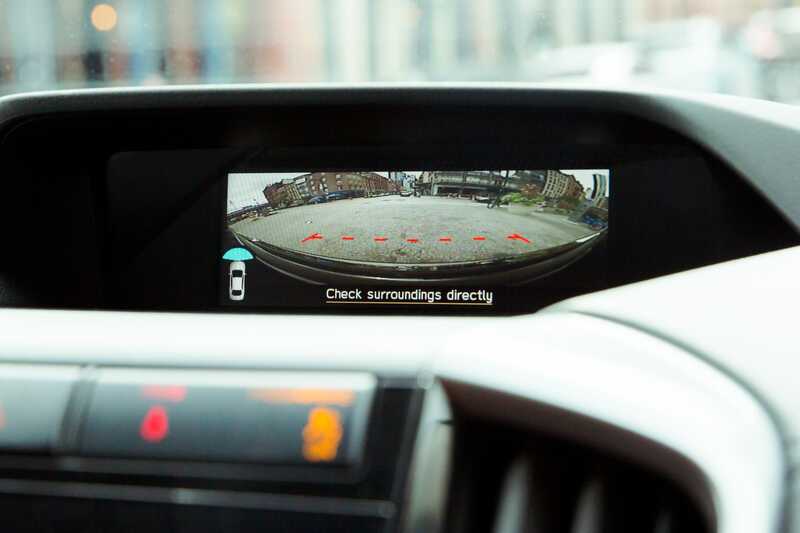 While back up cameras are becoming commonplace now, front-facing cameras are still quite rare. 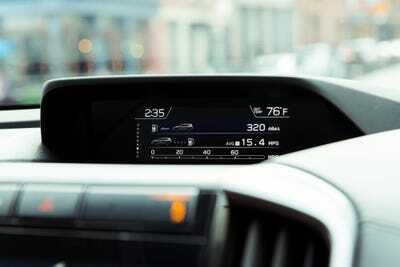 The Ascent is available with such a camera displayed on its secondary infotainment screen. 8. Subaru’s Eyesight safety system is standard on all Ascents. 9. 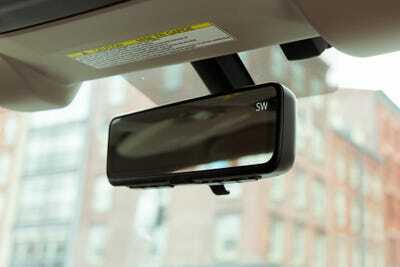 Rear view mirror display. The Subaru Ascent is equipped with a rearview mirror with a built-in digital display connected to a camera located in the back of the vehicle. 10. 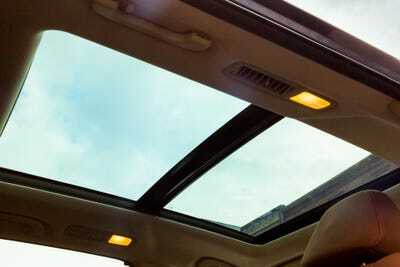 There’s an available panoramic glass roof. 11. 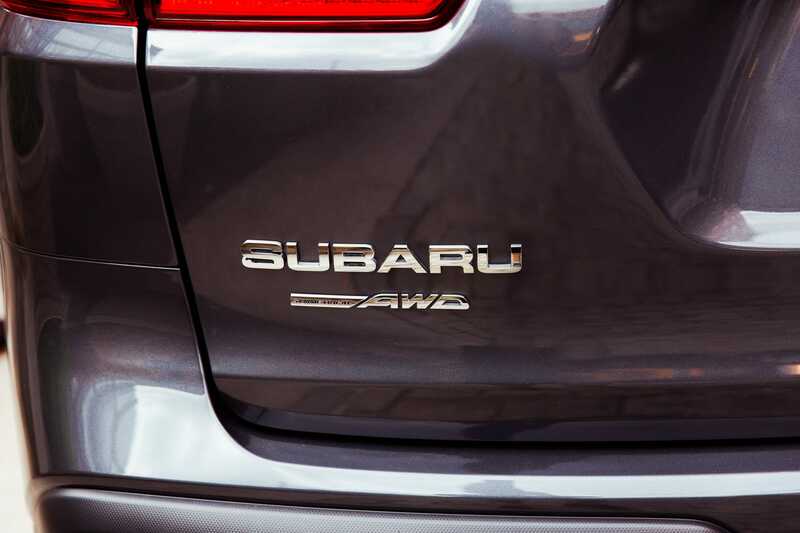 The Ascent comes standard with Subaru’s Symmetrical all-wheel-drive. 12. The Ascent also comes with X-Mode which is a system that optimises engine power, torque split, and braking to help guide the car through poor driving conditions. 13. The Ascent comes with a power lift gate. 14. 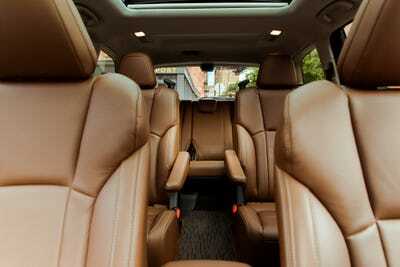 Cargo room: There are 17.5 cubic feet of cargo room behind the third row. 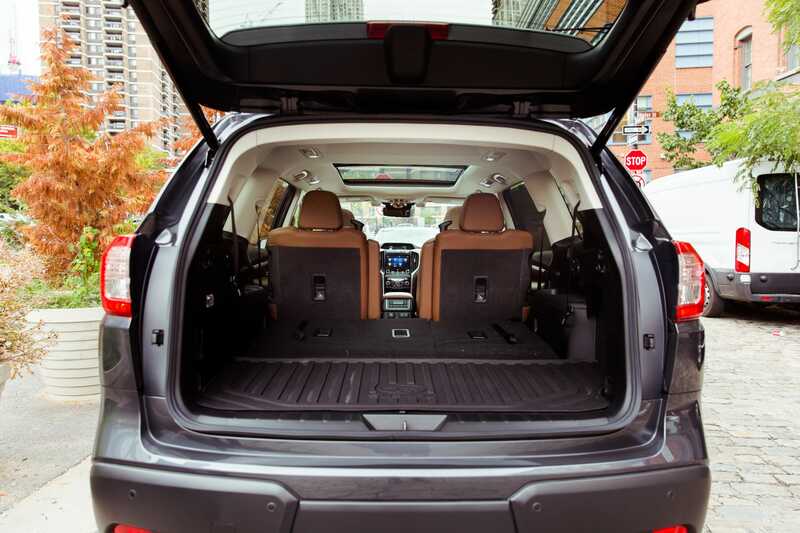 With the third row folded, cargo capacity increase to 47 cubic feet. The maximum cargo capacity behind the first row is 86 cubic feet. 15. There are 19 cupholders.